A breakthrough in floral genetics with the Aloe-Aloe range of 34 unique sun perennials – an innovation 39 years in the making. 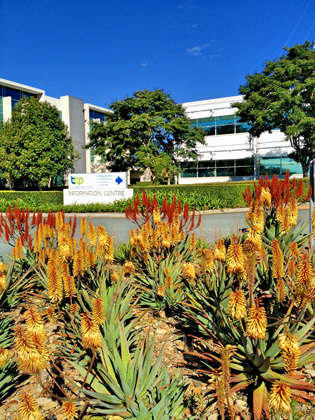 Use of flowering perennials in Australian commercial landscapes has historically been difficult and expensive given the necessity for constant attention (water and maintenance) to keep those flowers alive. 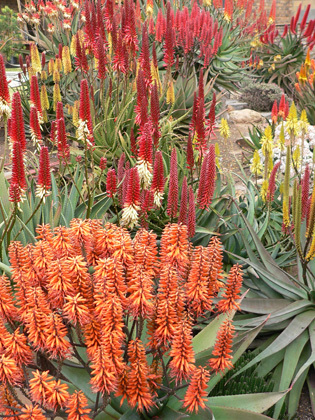 The Aloe-Aloe range of 34 unique sun perennials represents a breakthrough in floral genetics, an innovation 39 years in the making. Bred in South Africa to provide dynamic, long living colour, they are easy to care for and are versatile, being both drought tolerant as well as heavy rain tolerant. 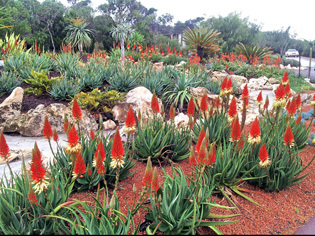 By crossing various species of aloe, the best features of all parents (sometimes up to eight parents) are bred into a one-of-a-kind cultivar which adds life and colour, boasts exceptional flowering as well as heat tolerance to last through our Australian summer scorchers. 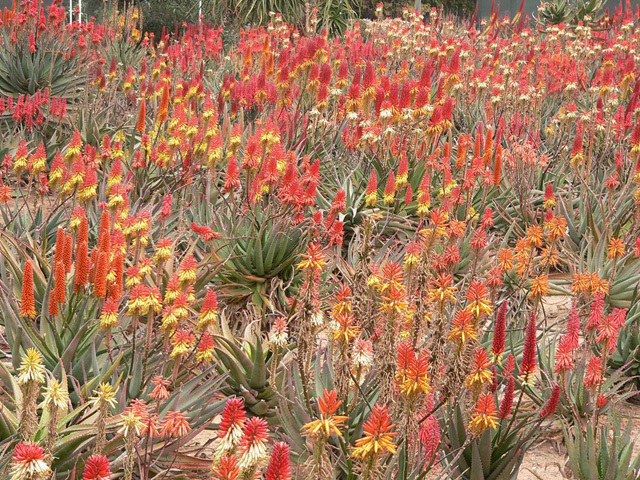 Improved traits are flowering as younger plants (pure aloe species can take many years to reach flowering maturity), longer flowering (some for up to nine months), more prolific flowering and better adaptability to a wide range of climatic zones. Whilst most of the flowering takes place in the autumn and winter months, varieties are able to be selected that flower at different times of the year, so flowering is able to be delivered for most of the year. 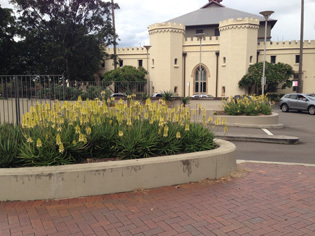 Increasingly our leading landscapers, architects, developers and councils are using these big flowering perennials. Some are small trees, others shrubs but the most favored are the smaller cultivars which are used for mass planting. These sun loving aloe are even tough enough to outcompete weeds. With many large production nurseries now growing these new plants all around Australia and many others distributing them, securing supply will be easy.